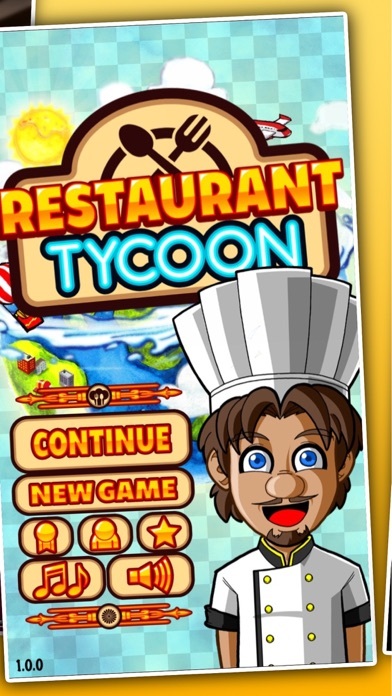 From the creators of Streetfood Tycoon comes a brand new time management sim, where your goal is to become the finest Chef and the richest Restaurant Tycoon! Serve popular noodle and rice dishes to your crazy customers. 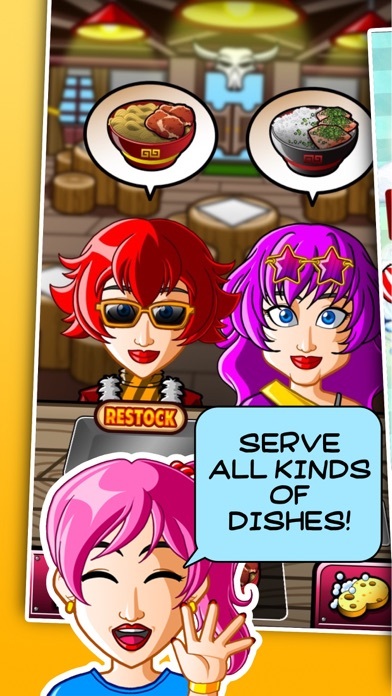 Upgrade your restaurant and unlock various food items and upgrades. Travel the world and put up a franchise from one location to another. Spend your earnings wisely and prioritize your upgrades. 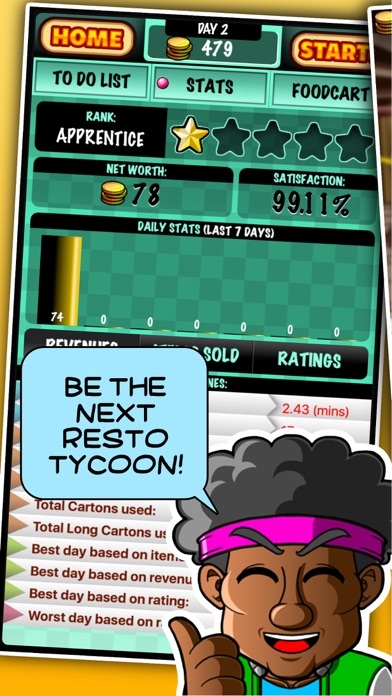 Restaurant Tycoon: Chef Story lets you experience how it feels to manage your own restaurant business. 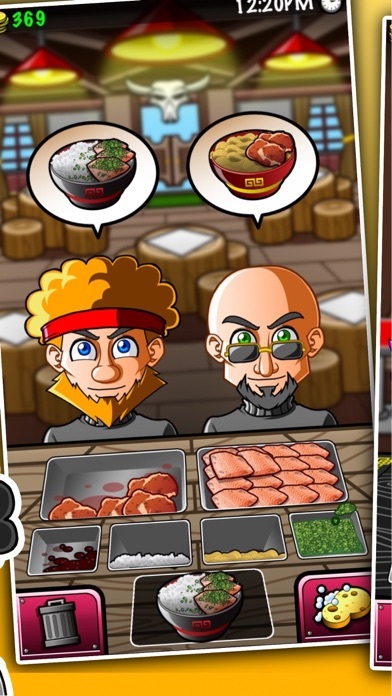 Key Features: - Unlock 4 different locations around the globe - Unlock food items and restaurant upgrades - Serve food to wacky and crazy customers - Serve from different locations - Sell refreshments too! - Unlock achievements and compete with your other Tycoon friends - Guaranteed fun for the entire family! 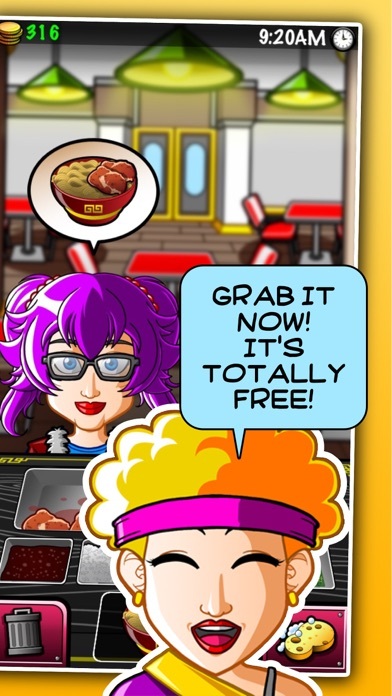 Grab Restaurant Tycoon: Chef Story now! It's TOTALLY FREE! Seems to have just copied the upgrades from their other games. It is having me upgrade French Fries and Corndogs when there is no French Fries or corn dogs. Makes me think the company was being lazy and doesn't double check things..